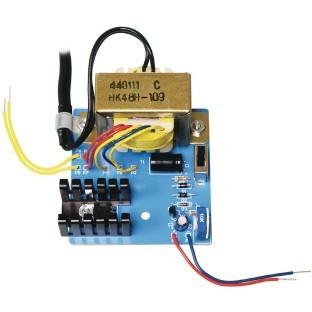 DC conversion kit for prototyping and training. The electrical power that is supplied by your power company is what is known as Alternating Current or AC. This current is constantly changing amplitude and polarity. The electrons (current) move back and forth at a rate of 60 times per second. 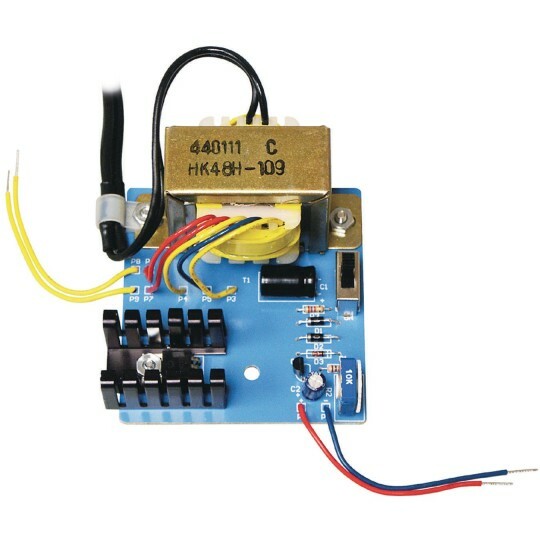 This type of current is not suitable for most electronic circuits. It must be converted into a Direct Current or DC, which moves in one direction only. Your multi-purpose power supply does exactly that. It converts AC into DC. It also allows you to vary the amplitude of the voltage from 0-15V (0.25A - 12Vmax). Also, your power supply has an output of 8.5VAC, 0.5A without regulation. 0-15VDC @ 250mA 8.5VAC @ 500mA Bredboarding. Detailed manual included.